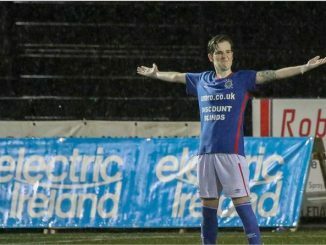 Reigning champions Linfield have begun the third Northern Ireland Danske Bank Women’s Premiership campaign with back to back wins. 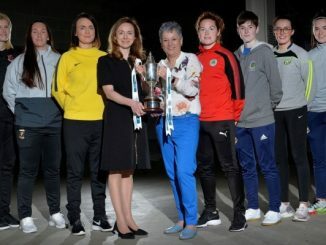 They began the defence of their title with a 7-0 victory at newcomers Derry City before just getting the better of visitors Glentoran in a seven-goal thriller on Wednesday 25th April. 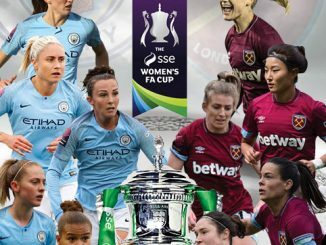 Megan Bell hit a hat-trick in their first match with Kirsty McGuinness, Alison Smyth, Jennifer McDade and Chloe McCarron also on target. 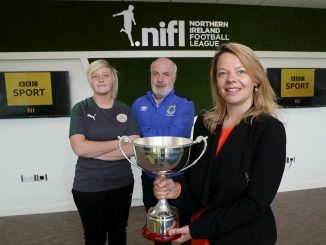 McGuinness scored three times in the narrow win over the re-branded Glentoran Women’s FC, Alison Smyth with their other goal while Ali McMaster and Aoife Lennon were among the scorers for the visitors. 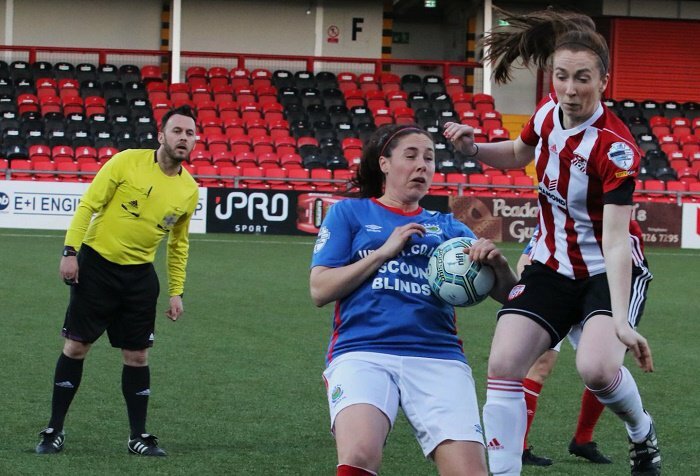 Second-placed Crusaders have yet to concede a goal, following up a 0-0 result at Glentoran with a 1-0 victory away to newly-promoted Portadown, where Celine Curtis struck 5 minutes before half time. Cliftonville’s one match today was a 7-1 success at Portadown, with the hosts having levelled through Hannah Grieve but a four-goal haul from Marissa Callaghan made sure of an away win, while Billie Simpson bagged a brace and Chloe Orr the other goal. Sion Swifts began with a 3-0 defeat of Derry, Amy Boyle-Carr scoring in either half and then Aimee Mackin netting a goal on her debut.